TurfSite Web Services Review 2019: Is TurfSite Web Services a Good Hosting? TurfSite Web Services offers Filipino website hosting, along with other internet related services. The plans are expensive, but you’ll find nearly all the features you need from a hosting company, along with some added extras for experts. TurfSite Web Services has been providing Philippines-based website hosting since 2003. 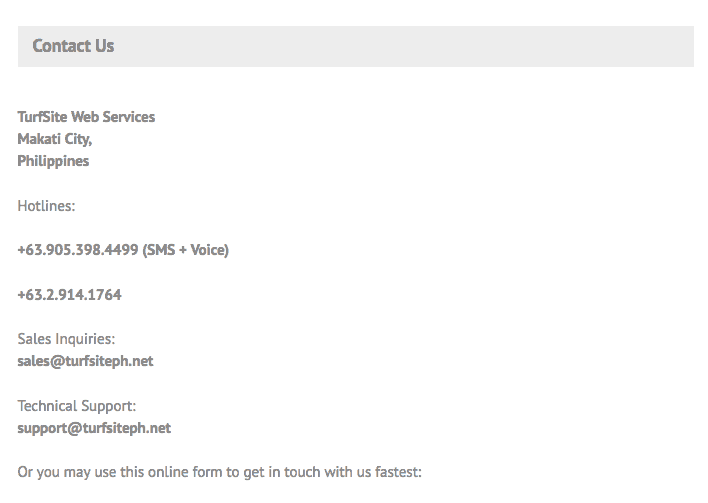 It claims to be the leading Filipino host, however, I can’t find any data to back that up. I can tell you, it has thousands of customers from around the world. The website is only provided in English. TurfSite Web Services offers four shared hosting plans which all run on Linux operating systems and have access to cPanel, a beginner-friendly control panel. Furthermore, there’s a 99% uptime guarantee, which is far lower than the industry average of 99.9%. In terms of features, experts will be pleased to see unlimited FTP accounts and MySQL databases, as well as phpMyAdmin access and support for PHP, but unfortunately only the slower versions 4 and 5. Also, it’s great to see that Cron jobs are supported, so you can keep your site running optimally, as well as Ruby on Rails and custom Perl scripts. For beginners, there’s a one-click installer, and compatibility with WordPress or Joomla!, Drupal or Magento. There are also weekly backups and the option for backup and restore, as well as 24/7 server monitoring. The prices are surprisingly expensive, given the level of features included. As well as the base price, you will need to purchase a domain name and SSL certificate, so be sure to take that into consideration if you’re budget conscious. Plans are only available on one-year terms, which means you won’t benefit from a month-to-month trial or a long term discount. Nevertheless, purchasing a plan is easy and can be done 100% via the website. Customer service is by phone, live chat, or email and although it’s not overly clear, 24/7 customer service is mentioned on some service pages. I’d be slightly cautious as each time I’ve visited the website, despite it being normal business hours, the live chat window has appeared to be offline. I sent an email via the offline live chat window at around 6:00 p.m. on a weekday evening. I waited a couple of days but did not receive a reply, which is a shame, especially considering there are no help documents available on the website. TurfSite Web Services sells a range of services, from hosting to website development and bulk SMS services. The plans are pricey and while TurfSite Web Services doesn’t have any stand-out features, nearly all the features you’d expect from a standard website hosting company are included in the plans, plus some extra support for advanced level users. 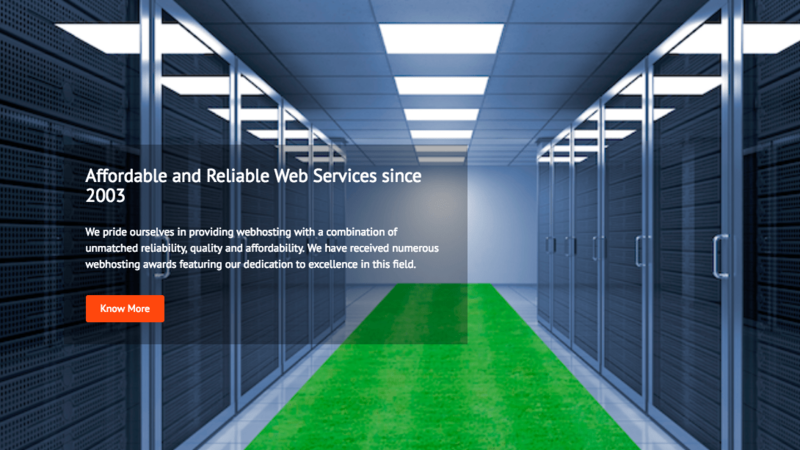 Wondering how TurfSite Web Services stacks up against other Web Hosting companies? Enter any other Web Hosting company and we will give you a side-by-side comparison.